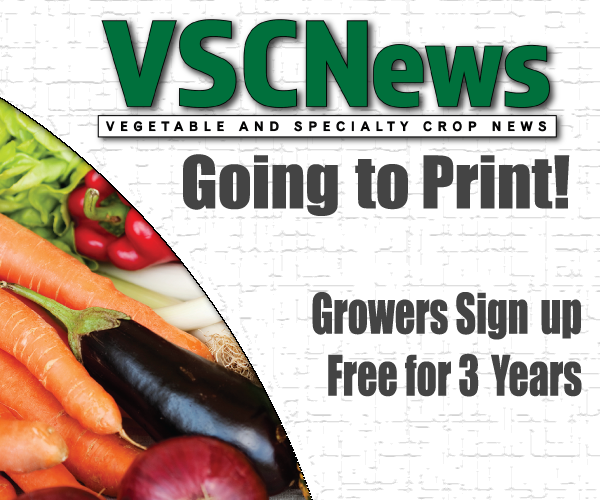 Southeastern vegetable growers face challenges due to whiteflies and the diseases they vector. Timothy Coolong, Extension vegetable specialist for the University of Georiga’s Tifton campus, said the whitefly pressure has been extremely high over the last year due to the mild Georgia winters. “The problem is the populations were so great this year that even if you get 75 or 85 percent control, we still have extremely high levels of whiteflies out there,” Coolong said. The two main viruses vectored by whiteflies are cucurbit leaf crumple virus and tomato yellow leaf curl virus. Coolong said the cucurbit leaf crumple virus was found in Georgia for the first time last year in a multiple-county region of the state. The virus has spread to nearly the entire southern part of Georgia, he said. Cucurbit leaf crumple virus has been found the most within fall yellow squash. It has also been found in fall snap beans. Coolong said fall snap beans are in a different family than squash, but are still susceptible to the cucurbit leaf crumple virus. There is a tomato variety that is genetically resistant to tomato yellow leaf curl virus, however, the pressure from the high whitefly population has been so strong that this virus has continued to be an issue for growers, said Coolong. 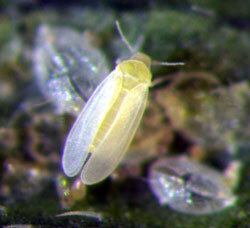 Looking to later in the fall and into the winter, cooler weather could mean lower whitefly populations for growers. Coolong said that if previous weather trends continue this year, that could mean a late frost, which could be beneficial for southeastern growers. As northern growers stop producing, the southeastern growers can pick up from there and potentially get better prices for their crops. Lance Osborne, professor of entomology at the University of Florida, said growers, researchers and scientists are working together to try to manage and prevent whitefly issues. The growers help provide information by letting the others know what is needed and what kind of research could be beneficial. The whitefly that is currently harming vegetable plants is the B biotype of Bemisia tabaci, Osborne said. There is another type of Bemisia tabaci called the Q biotype. Osborne said the Q biotype is currently affecting ornamental crops, but is not yet widely reported in vegetable crops. The research being done is to manage the B biotype in the vegetable crop and prevent the Q biotype from becoming an issue for vegetable growers. Osborne said chemicals and biological methods are being tested for these purposes.